Formed in Glasgow in 1995, Mogwai are post-rock behemoths comprised of Stuart Braithwaite, Dominic Aitchison, Martin Bulloch and Barry Burns. 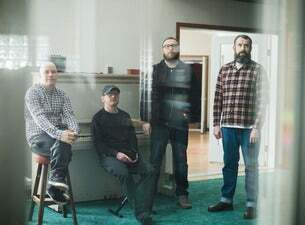 Since the release of their debut album, Young Mogwai, in 1997, the band have been mesmerising fans for 20 prolific years with their lengthy guitar-based pieces featuring distortion and other effects. Mogwai’s latest album Atomic came out in early 2016. The band will headline The SSE Hydro in Glasgow in December 2017.